FIFA's election date will remain in February, despite the uncertainty surrounding Michel Platini's candidacy. FIFA decided Tuesday to keep its presidential election date in February as uncertainty surrounded Michel Platini’s candidacy. The governing body held its first executive committee meeting since FIFA President Sepp Blatter was provisionally suspended two weeks ago. The meeting confirmed that FIFA will go ahead with the election on Feb. 26 after an update from election monitor Domenico Scala, whose committee rules on the eligibility of candidates. Platini submitted his candidacy ahead of the Oct. 26 deadline but he could be declared ineligible as he being investigated over the payment of 2 million Swiss francs (about $2 million) from FIFA for work he says was carried out at least nine years earlier. Platini has challenged his suspension and is awaiting the verdict of the FIFA appeals committee. UEFA is pushing for a swift decision. 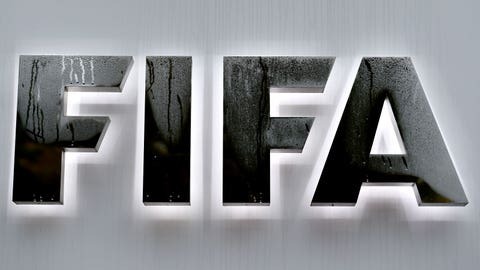 The FIFA crisis, which was sparked by the arrest of soccer officials in Zurich ahead of Blatter’s re-election in May, led to a reform process being instigated to overhaul how the organization is run. Reform committee chairman Francois Carrard was updating the FIFA executive committee on Tuesday on what was discussed in the three days of meetings over the weekend. ”Special day. We have to make a good thing for FIFA,” Sheikh Ahmad Al-Fahad Al-Sabah, an executive committee member from Kuwait, said as he arrived at FIFA headquarters. Potential changes include the imposition of term and age limits for the president. The 79-year-old Blatter had served as FIFA president for more than 17 years until he was suspended. Aside from Platini, former FIFA vice president Prince Ali bin al-Hussein of Jordan and former Trinidad and Tobago player David Nakhid have said they have submitted their five required federation nominations. Asian Football Confederation president Sheikh Salman Bin Ebrahim Al Khalifa has also written to his executive committee saying he has ”recently been urged by a growing number of senior” people within the game to stand. The Bahraini was seeking advice from his AFC colleagues before making a decision.